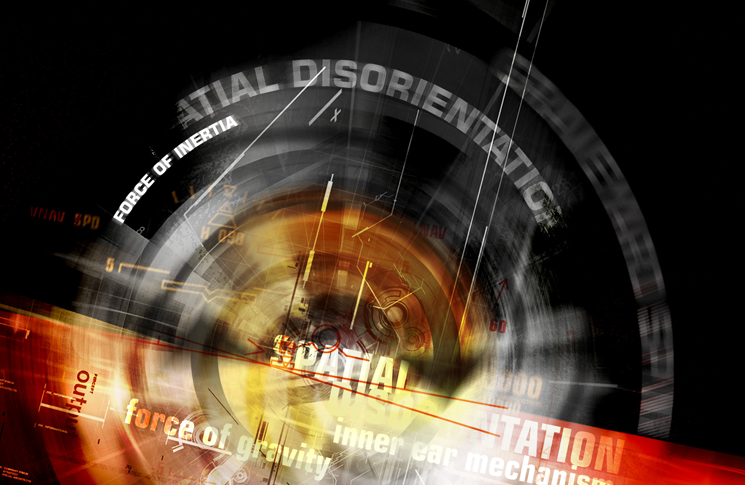 Spatial disorientation continues to kill. Your only defence is to know it for what it is. What would a God who meant us to fly have given us? A set of wings would be nice, but could it match a Boeing 787 for seat-mile cost or a Tiger Moth for charm? A different inner ear mechanism would be much more useful, because that’s what we humans need to save us from spatial disorientation. In common language, it’s when your senses are telling you something that isn’t true— typically that you are flying straight and level when in fact you are in a spiral dive. The reason for this fatal confusion is that our inner ear mechanism cannot tell the difference between the force of gravity and its imposter, the force of inertia. One G feels the same standing on the earth as it does when pulling a banked turn. Here is biological proof that humans were not meant to fly. Our balance system is evolved for life on the land where there is never any question as to which way is up. Nearly 90 years since it was first positively identified (see the breakout) spatial disorientation continues to kill. Accidents where it was implicated include the 2011 Lake Eyre helicopter crash that killed three people, the Queensland de Havilland Dragon crash of 2012 with six fatalities, and the Boeing 737 crash in Kazan, Russia, that killed 50 people. There are many other spatial disorientation tragedies, less reported because they only kill one or two, usually not well-known, people at a time. The 2010 crash of a Cessna 310 at Bathurst Island, north of Darwin in the Northern Territory, and the 2008 crash of a Piper Chieftain near Bathurst NSW fall into this category, as does the 2006 crash of a Chieftain near Raglan, Queensland. Research from the United States National Transportation Safety Board (NTSB) shows pilots without an instrument rating are five times more likely to have accidents in degraded visual conditions than pilots with instrument ratings. By the NTSB’s reckoning, spatial disorientation is blamed for up to 20 per cent of fatal accidents in military aviation, and about 40 per cent of fatal crashes in general aviation. 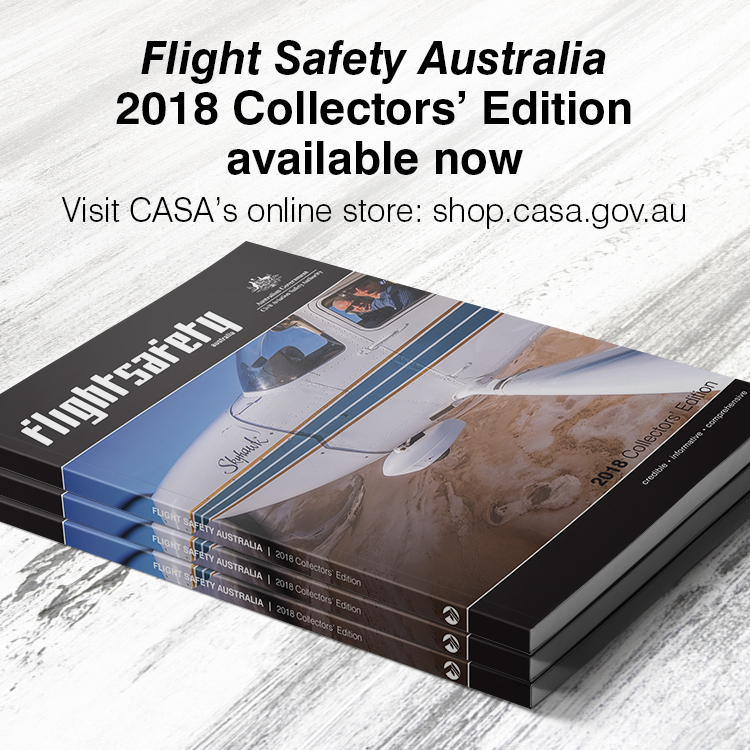 The Australian Transport Safety Bureau (ATSB) found spatial disorientation following VFR flights continuing into instrument meteorological conditions (IMC) accounted for 8 per cent of fatal general aviation accidents and 13 per cent of fatal private aviation accidents between 2001-2012. (The figures were an improvement, for both categories on the previous decade.) By the ATSB’s reckoning 88 people were killed in VFR-into-IMC crashes between 1991 and 2012. But spatial disorientation is no respecter of experience, or even of instrument ratings. It is just as great a potential threat to large aircraft. It has been implicated in two Boeing 747 crashes: Air India Flight 855 in 1978, and Korean Air Cargo Flight 8509, in 1999. It was also implicated in the Boeing 737 crash of Flash Air Flight 604, in 2004. Physiologically, there are two types of spatial disorientation: somatogyral, involving the semi-circular canals of the inner ear (see the breakout); and somatogravic, involving the otolithic organs of the inner ear. This killer happens when an aircraft begins to bank in cloud or dark night conditions. A constant rate of bank will be undetectable by the vestibular apparatus in the pilot’s head, and unless the pilot is watching the attitude indicator attentively there will be no visual clue. The rushing of slipstream will indicate the increasing airspeed of a dive in what otherwise appears to be straight-and-level flight. Attempts to pull out of the dive often only tighten the unrecognised turn and can cause aircraft to break up in flight. Death comes from this, or high-speed impact with the Earth. This happens when the pilot recovers from a spin or mild bank in IFR, or marginal IFR, conditions but because of the somatogyral illusion of turning the other way, re-enters the bank or spin. This can also happen in a developed graveyard spiral, although that is less common. The sudden and intensely unpleasant tumbling sensation caused by looking down when turning. This might be to pick up a pen, read a chart, or glance at instruments or controls. Technically, this causes cross-coupled stimulation of the semi-circular canals. The head movement means the canal that signalled yaw now sends a pitch message to the brain, which is at odds with the message the eyes are sending. The result is confusing and debilitating. A pilot may dive, bank or roll an aircraft under the influence of this illusion, or they may simply be disabled for up to a minute. A complex illusion that can occur in VFR conditions. If an aircraft is making a tight turn that puts more than 1G load on it, and the pilot looks back into the turn, the pilot can perceive that angle of bank and G-load are decreasing. The instinctive reaction to apply more bank can overstress or, more likely, stall the aircraft. There are three versions of the somatogravic illusion. Both involve the body’s inability to distinguish pitch changes from acceleration. This common illusion is a false sensation of roll. It gets its name because pilots lean to one side in order to cancel out the false sensation. Leaning your body is the right way to counter the leans; rolling your aircraft is the wrong response. The leans often happen when a pilot looks down at a map, radio or instruments, and the aircraft goes into a gentle, banked turn that is too slow for the vestibular system to detect. Typically, the pilot looks up, and corrects the bank. But because this correction is fast enough to be felt by the inner ear, visual and vestibular information get out of sync and the leans occur. This illusion can occur in good visual flight conditions. The pitch-up illusion happens in IMC or dark night conditions on take off or during a go-around when the aircraft is accelerating. The otolithic organ interprets the acceleration as a pitch-up; the pilot feels a strong compulsion to push the column forward to avoid a stall. One US study found spatial disorientation was implicated in 78 per cent of night take-off accidents. The pitch-up illusion was implicated in the 2011 Afriquyah Airlines Airbus A330 crash in Libya and appears to have played a role in the Tatarstan Airlines Boeing 737 crash at Kazan in Russia. Less common is the opposite pitch-down illusion, which happens when an aircraft slows suddenly, perhaps from engine failure or windshear. In poor visual conditions, a pilot might feel a compulsion to pitch upwards, risking a stall. Because spatial disorientation is a result of human anatomy, it follows that no human is immune to it. It is a maxim of aviation medicine that spatial disorientation is a normal human reaction to an unnatural situation. ‘ … all too many pilots have gone to their death never feeling or suspecting that anything was amiss with their aircraft’s altitude or trajectory’. Believe your instruments always, unless it’s a crystal-clear day outside and your attitude indicator is rolling about like a doll’s eye—but how often is that? Don’t fly into IMC if you don’t hold an instrument rating. Don’t kid yourself that playing a computer flight simulator in the constant 1G environment of your bedroom is comparable with real-life practice in flying on the gauges. And if you do have an instrument rating (or used to) but you haven’t flown on instruments for months or more, accept that regardless of what the piece of paper in your flight bag says, you are, in effect, a VFR pilot. Recognising limits is easier said than done. Well-meaning aviation publications have been telling pilots to avoid entering IMC for decades, yet they still do, and die. At least some of these pilots must have known about the hazard of spatial disorientation and sincerely wanted to stay out of IMC, but found themselves in the clouds or the dark. How do you keep from joining them in the cemetery? Plan your flight, every time, and you reduce the chance that bad weather or night will sneak up on you. This level of planning may seem too thorough most of the time, but it’s not for most-of-the-time conditions—it’s for the day when something unusual or unanticipated happens. This is not just bad weather: planning means programming the GPS on the ground rather than in flight, and keeping a spare for when you drop your pencil (or keeping pencils on strings) to avoid the head-down concentration that often leads to disorientation. If you’re flying in conditions where spatial disorientation is possible, you must avoid alcohol, drugs and fatigue. All of these increase susceptibility to spatial disorientation and its illusions. Alcohol impairs pilots, not only because of intoxication and hangover, but also by changing the composition of the inner ear fluid, making disorientation more likely at a lower threshold. (This is why your head spins when you’re very drunk). This effect can last for up to 48 hours after your last drink. Over-the-counter medications can also affect the inner ear, although their effects are varied and not fully researched. Be wary of them. Your ears are not just for hearing. They also contain a natural apparatus that tells you how your body is placed in space and what is happening to it. Your vestibular system has two main components: the semi-circular canals, which detect rotation; and the otolith organs, which detect linear acceleration. Each ear has three semi-circular canals, like little curved spirit levels (but with no bubble). Each canal is aligned to a primary axis of motion, pitch, roll and yaw. When your head moves, the fluid in the canals presses against tiny hairs, which transmit the sensation of movement to your brain. Most of the time you don’t notice this. The otolith organs are, essentially, tiny rectangular bones, one set oriented vertically, and one horizontally. As in the semicircular canals, tiny hairs detect inertia and send signals to the brain. The otoliths have also been likened to a bar of soap resting on a brush. The vestibular system helps your body balance, regulate its posture, and see clearly when moving. But it, and the signals that come from the skin and muscles (the ‘seat of the pants’), are mechanisms designed for earthbound life and are easily fooled by the sensations of flight. One telling detail in how the vestibular apparatus functions is that the semi-circular canals have a stimulation threshold of two degrees a second. You will not feel yaws or rotations slower than this. Autopilot software on airliners exploits this fact, so that passengers are unaware an aircraft is zig-zagging to avoid storms or traffic. But the threshold also means pilots can’t detect a slow divergence from straight-and-level flight. In the early days of aviation, pilots thought they knew more than their instruments. In the 1920s, some airlines removed instruments, saying that pilots with natural ability didn’t need them. Some pilots reported that new-fangled turn and bank indicators were fine in clear air but went haywire as soon as the aircraft entered cloud. The accepted wisdom was that a skilled pilot should have the finesse to stay under control in all conditions. 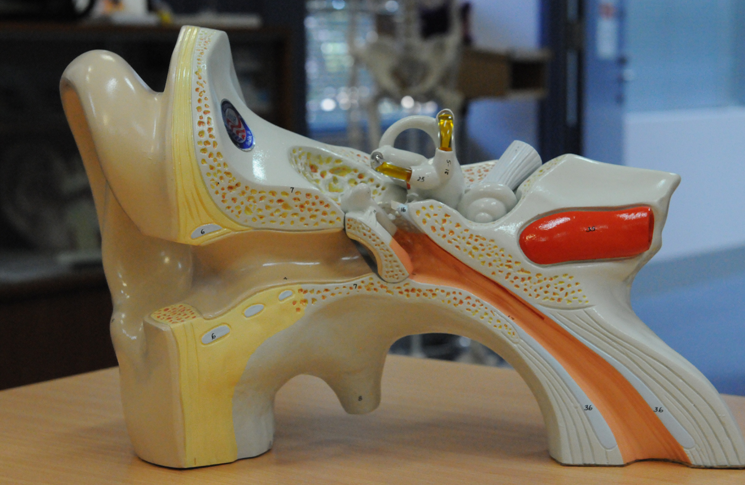 At about the same time, the first research into the functions of the inner ear was taking place. Austro-Hungarian doctor Robert Barany won the 1914 Nobel Prize for his work on the inner ear and its connection to other senses. One of his experiments involved placing a person blindfolded into a rotary chair and spinning it gently. By 1918, the US Army and Navy were using Barany chairs to select pilots, based on their supposed resistance to nystagmus, the involuntary eye movement caused by rotation. (This is when the eyes sense the direction of a turn and turn in the same direction, rather like the headlights of some luxury cars.) Those who recovered more quickly were thought to be better, ‘natural’ pilots. It was not until 12 years after Barany’s Nobel win that an air force doctor and a pilot used the Barany chair to demonstrate that human senses are fallible. In 1926, US Army Air Force flight surgeon, David Myers, put a veteran pilot, Sergeant William C. Ocker, into a Barany chair, and spun him as part of a routine medical examination. Ocker was unusual in being a believer in instruments over instinct. After a close call he had taken to using a Sperry gyroscopic turn indicator, which he clipped to a convenient strut of whatever biplane he was in. Ocker left and returned with his turn indicator, which he rigged into a wooden box. There was a hole in the box through which to look at the instrument and an electric torch mounted to shine on the indicator’s face. He repeated the Barany test and using the indicator instead of his senses scored 100 per cent. Ocker and Myers (whose only agenda had been to cut down some of the cockiness he encountered in pilots) had discovered and demonstrated the conflict between sense and instruments. Ocker went on to become something of a pest, by USAAF standards. He agitated for blind flying (what we would now call instrument flight) training and was twice court-martialled for supposed insolence. At one base he was ‘promoted’ to be in charge of animal-drawn transport. Eventually he wrote a book, which became the standard manual of the subject. Meanwhile he moonlighted at a civilian Californian flying school, the Hancock School of Aeronautics. Among his pupils was a hard-up Australian, Charles Kingsford Smith. There’s nothing special about a purpose-built Barany chair apart from better-than-average bearings and a footrest. Any rotating chair can demonstrate similar effects, and if it doesn’t have a footrest, put it up to its maximum height to let the volunteer’s legs dangle. To do your own demonstration of the graveyard spin and spiral illusions, all you need is a rotating chair, earmuffs and a blindfold, (the little ones airlines give long-haul passengers are ideal). The room can be light or dark, but should be evenly lit. The volunteer sits in the chair and an assistant slowly rotates it. The volunteer indicates which way they are going with their thumbs. The rotation doesn’t need to be fast: 10 rpm is more than sufficient. After 15-20 seconds of constant rotation, ask the volunteer which way they are spinning. Invariably, they will indicate that they are no longer spinning. Then stop or slow the chair. The volunteer will indicate that they are spinning the other way. This might look silly to observers, but when you try this yourself you’ll find the sensation is overwhelming. To demonstrate the coriolis illusion, have the volunteer spin eyes closed with their head face down, and then have them open their eyes and look up. But be warned—you may need to have a bucket and mop handy to deal with the volunteer’s nausea and vertigo. And the volunteer must not fly an aircraft on the same day as undergoing this second exercise. Because he has a great story to tell, and tells it well, Qantas Airbus A380 pilot Richard Champion de Crespigny is in continuing demand as a speaker. His theme is the lessons he and his crew learned on that fateful day in 2010 when the engine exploded on Qantas Flight 32. But when he found out Flight Safety Australia wanted to place him in a Barany chair at the RAAF Institute of Aviation Medicine, at Edinburgh, South Australia, there was no hesitation. He has been passionate about aviation physiology since the early 1980s when he completed the USAF School of Aerospace Medicine course at Brooks Air Force Base in the USA. So he agreed to come to South Australia to be the guinea pig in our video demonstrating how any pilot, regardless of experience, can fall prey to spatial disorientation. ‘It’s under-reported in the military because pilots who are trained to deal with it have brief episodes, cope with them, but don’t write them up. 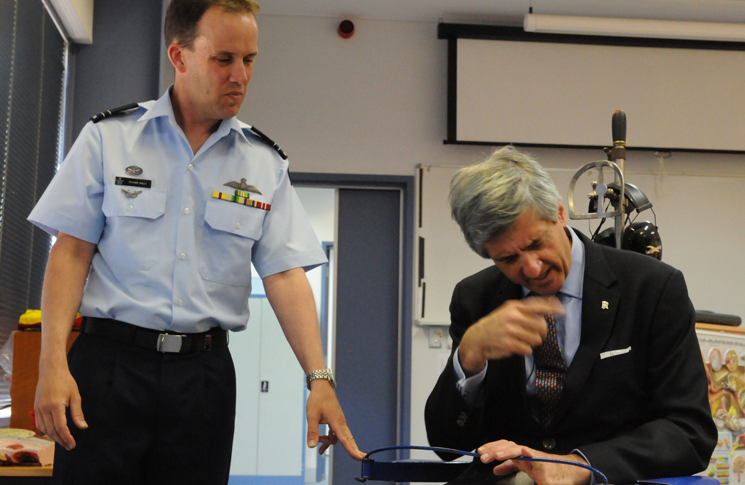 That’s certainly how it was when I was flying fixed-wing and helicopters with the RAAF,’ de Crespigny said. When you’ve got a spatial disorientation problem and don’t know it. Because you don’t recognise there’s anything wrong, you don’t attempt any correction. This form of spatial disorientation has been found to account for the majority of disorientation-related accidents and deaths. When you know you’ve got a spatial disorientation problem. Type II spatial disorientation is more common than Type I. You may not know your problem is spatial disorientation, but you may realise your senses are disagreeing with the instrument readings. Forewarned is forearmed; the solution can be as simple as following your instruments and ignoring your sensations, or if you have the luxury of a co-pilot, saying ‘Take over, I’ve got the leans’. ‘If spatial disorientation is inevitable, this is the type you hope will happen to you,’ says the RAAF’s Elicia McGinniss. When you have two problems: you’re disoriented and incapacitated. You can’t think; you can’t fly. Pilots disabled by vertigo or nausea may freeze at the controls, or make control inputs that tend to make the problem worse. Fatigue and high workload make it more likely that spatial disorientation will become incapacitating. This is an edited version of an article first published in Flight Safety Australia in March 2014. An excellent article, probably too in depth for most to take all that in but never the less worth at least gleaming over it. NVMC or the old Class 4 rating I found to be the most dangerous in my early flying career. Personally I believe it’s too easy to get a pilots license, too many private pilots get killed because once you have that ticket all bets are off. Checks should be annual, bi annual is too far between drinks. I’ve flown with 3000 hr private pilots who where almost borderline dangerous, you can tell a proficient pilot within about a minute, experience can work against a pilot as well as for.